A transgenic organism is a plant, animal, bacterium, or other living organism that has had a foreign gene added to it by means of genetic engineering. Transgenic plants can arise by natural movement of genes between species, by cross-pollination based hybridization between different plant species (which is a common event in flowering plant evolution), or by laboratory manipulations by artificial insertion of genes from another species. Methods used in traditional breeding that generate transgenic plants by non-recombinant methods are widely familiar to professional plant scientists, and serve important roles in securing a sustainable future for agriculture by protecting crops from pest and helping land and water to be used more efficiently. There is worldwide interest in the biosafety issues related to transgenic crops because of issues such as increased pesticide use, increased crop and weed resistance to pesticides, gene flow to related plant species, negative effects on non target organisms, and reduced crop and ecosystem diversity. This book is intended to provide the basic information for a wide range of people involved in the release of transgenic crops. These will include scientists and researchers in the initial stage of developing transgenic products, industrialists, and decision makers. It will be of particular interest to plant scientists taking up biotechnological approaches to agricultural improvement for developing nations. 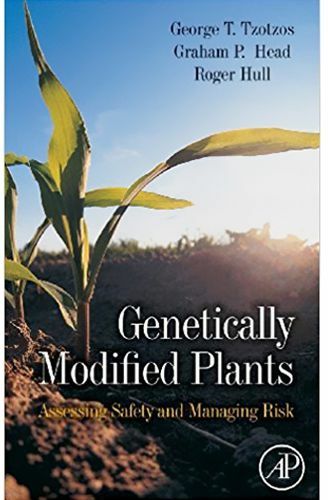 This book is discusses traditional and future technology for genetic modification. It compares conventional non-gm approaches and genetic modification. It presents a risk assessment methodology for gm techniques. It details mitigation techniques for human and environmental effects.